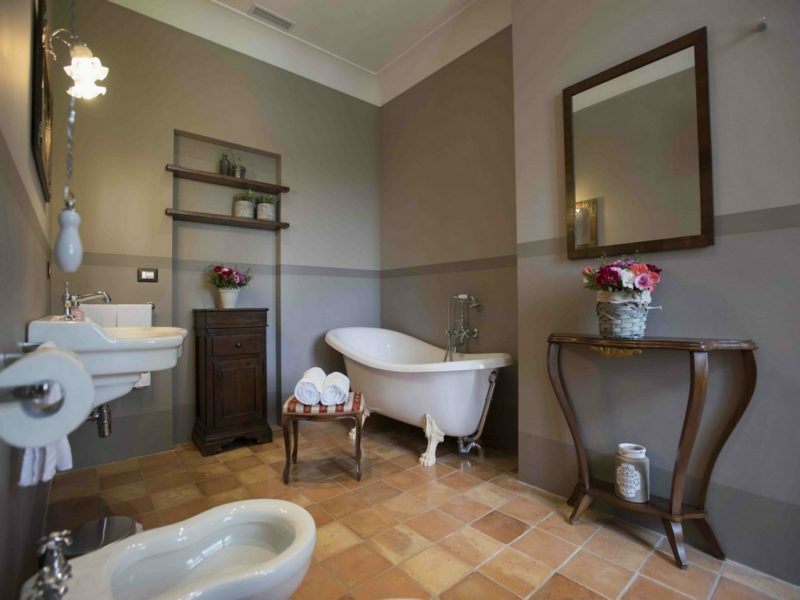 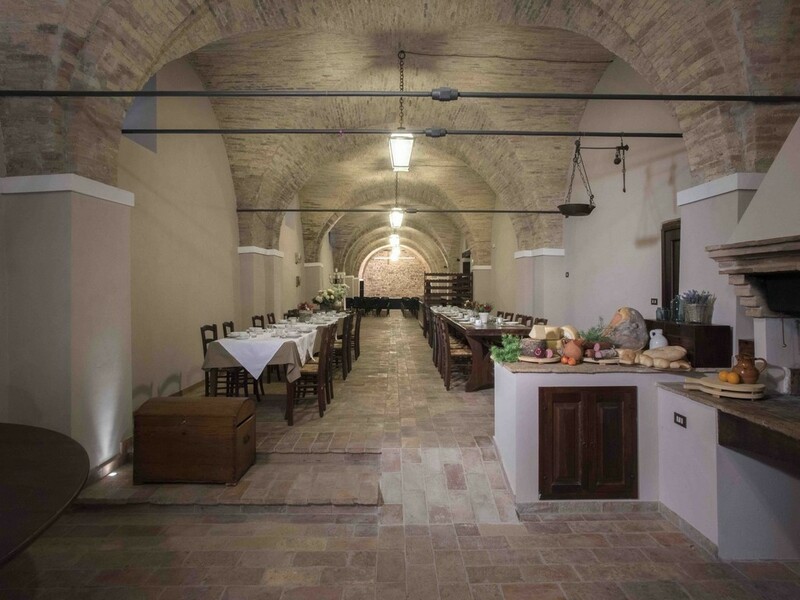 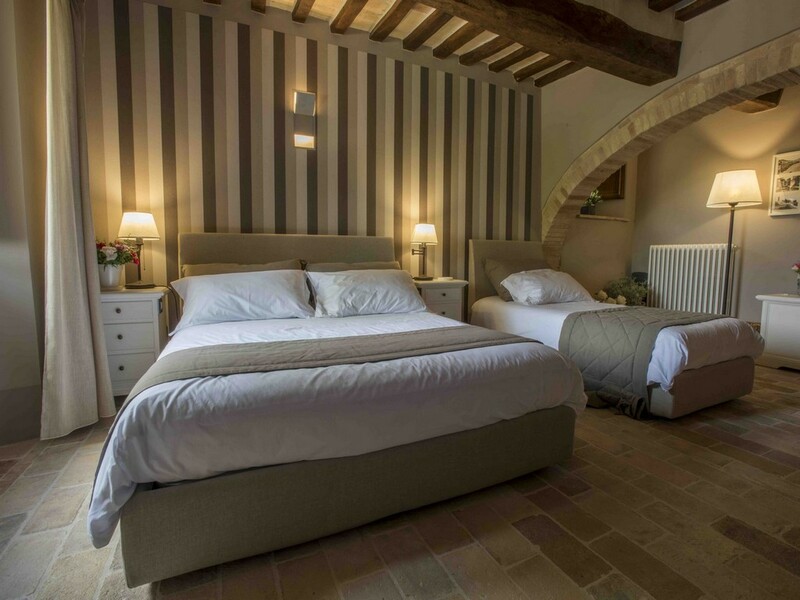 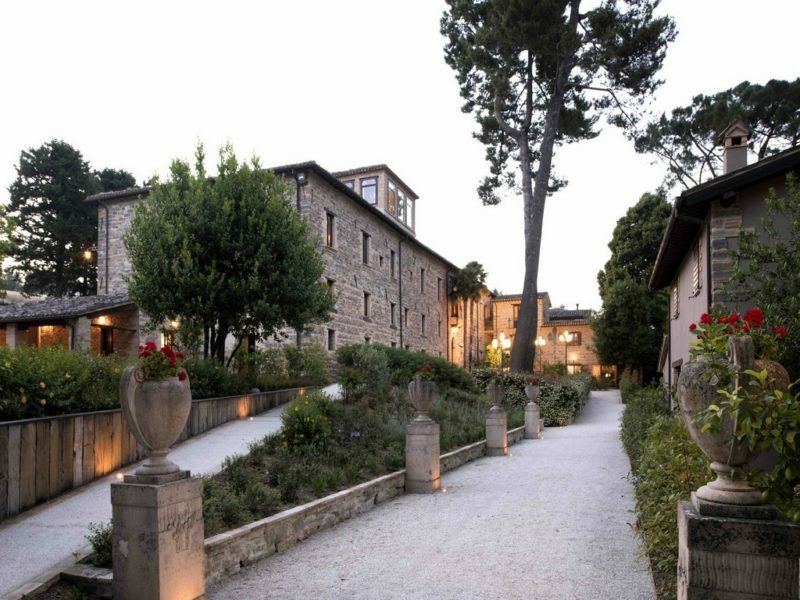 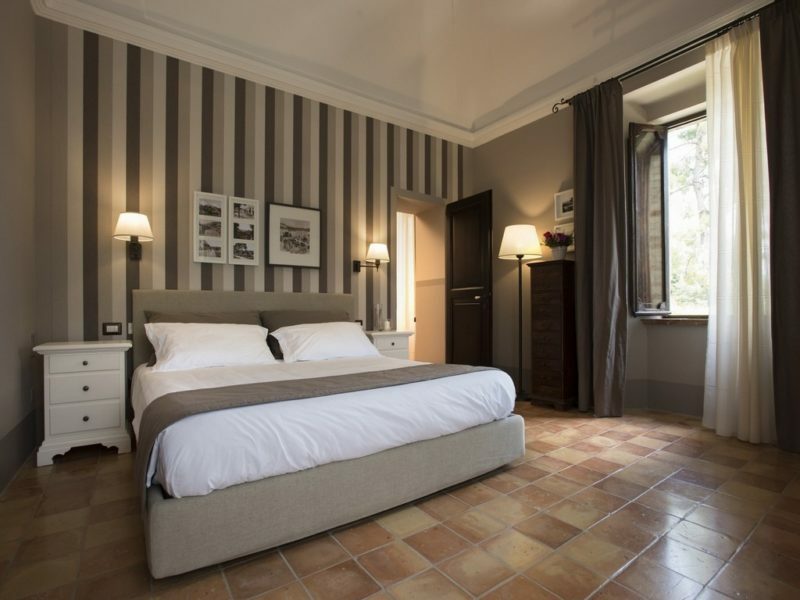 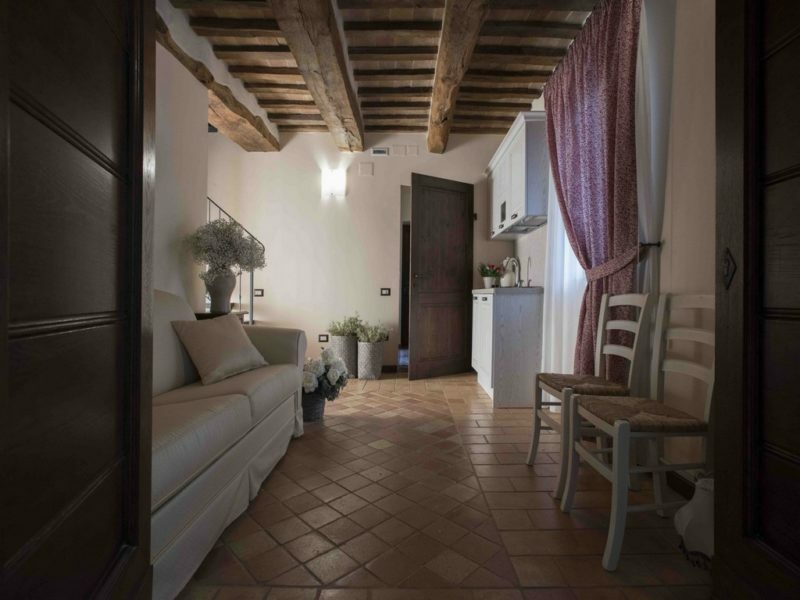 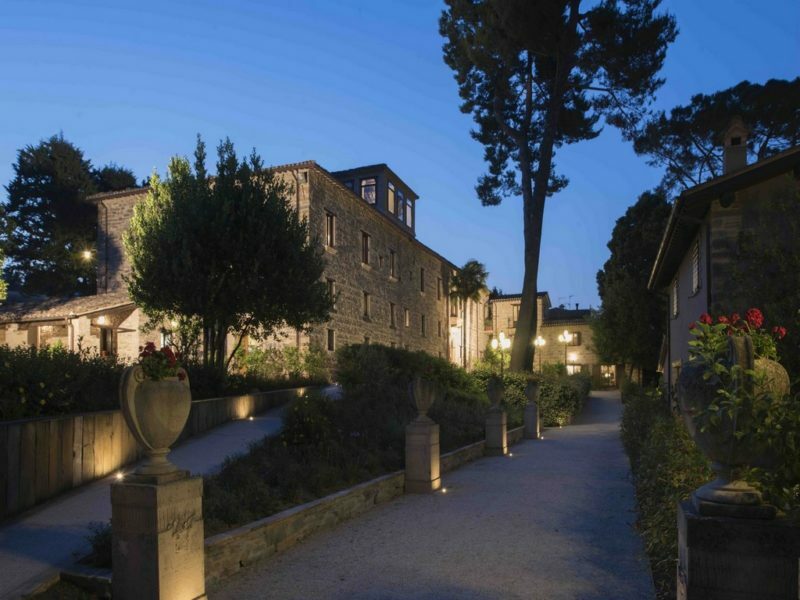 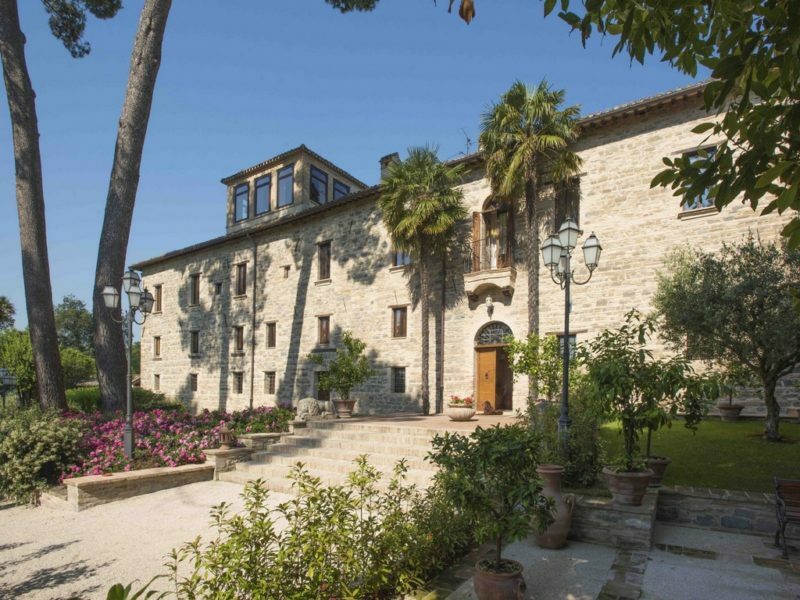 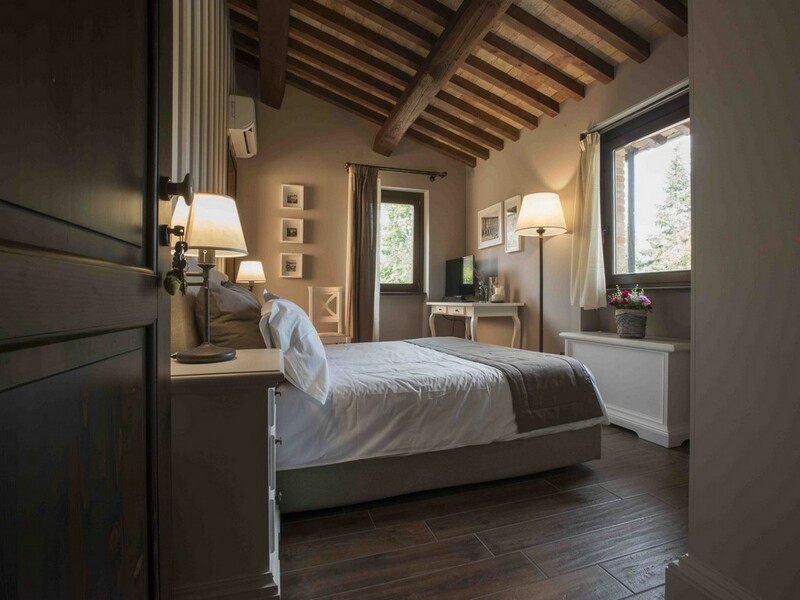 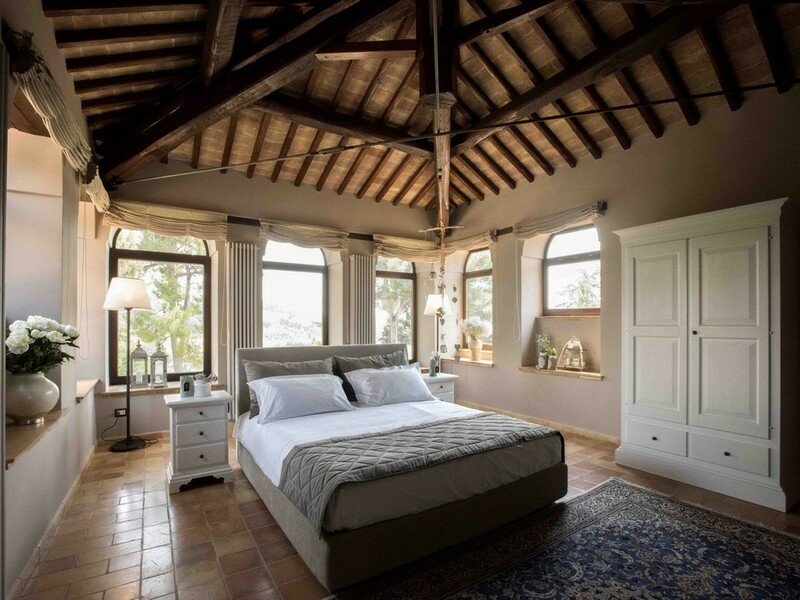 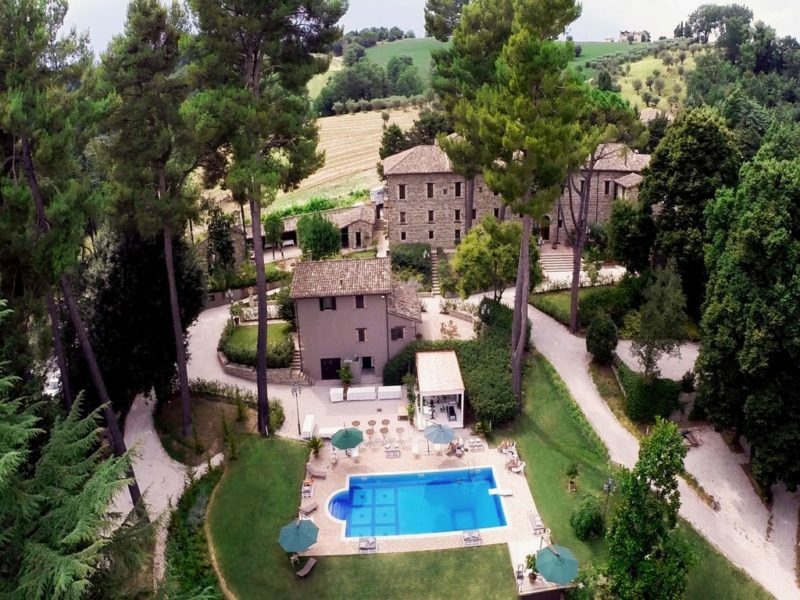 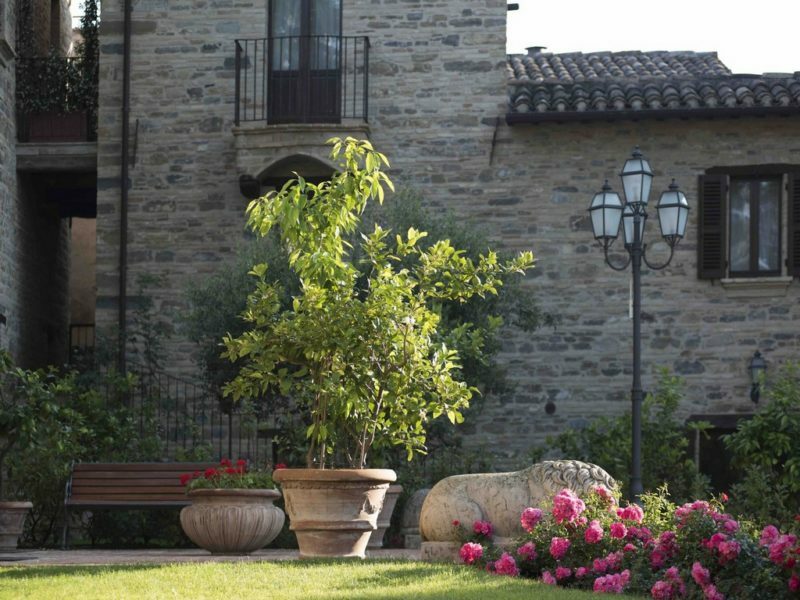 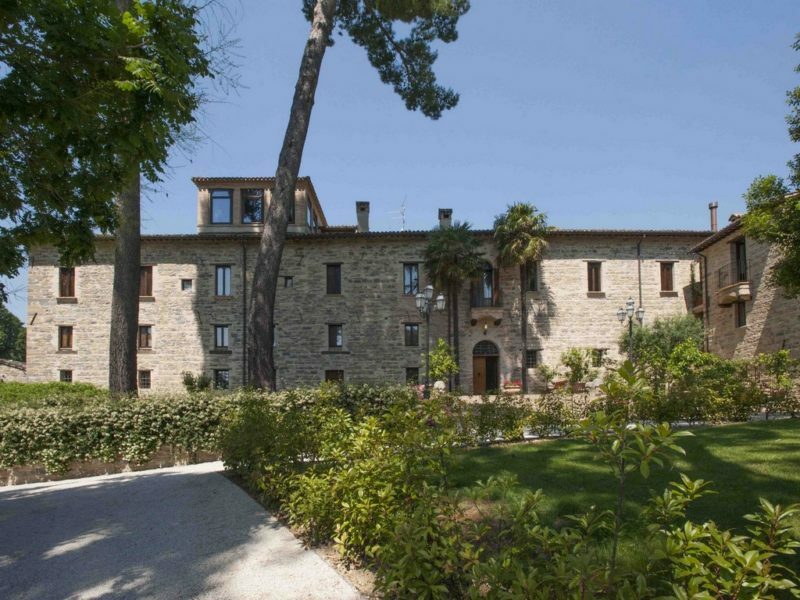 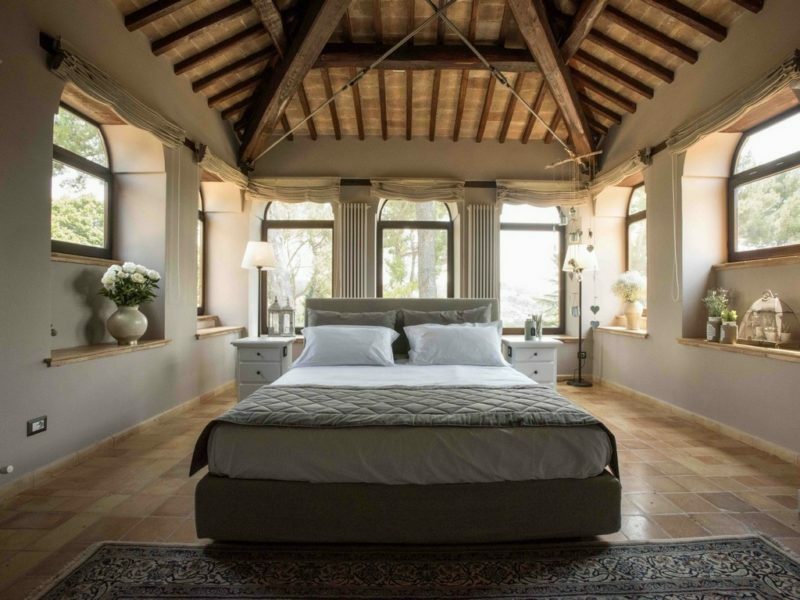 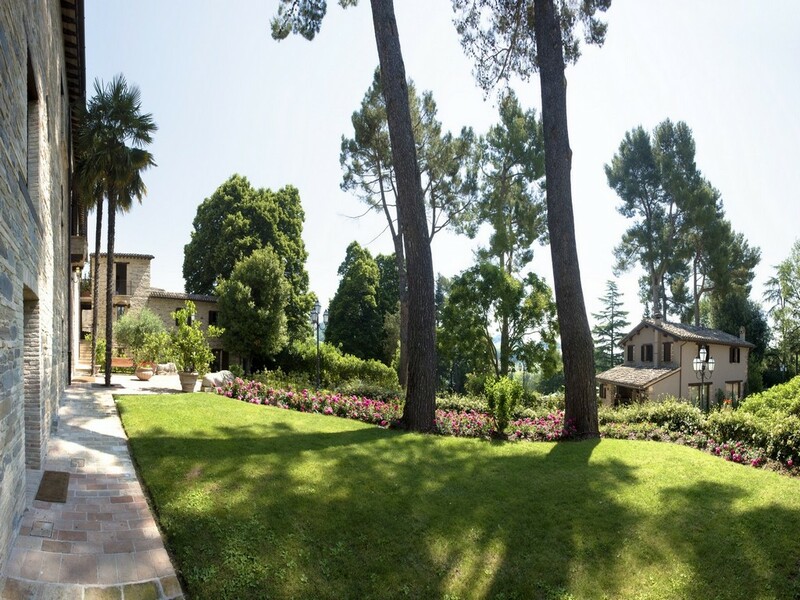 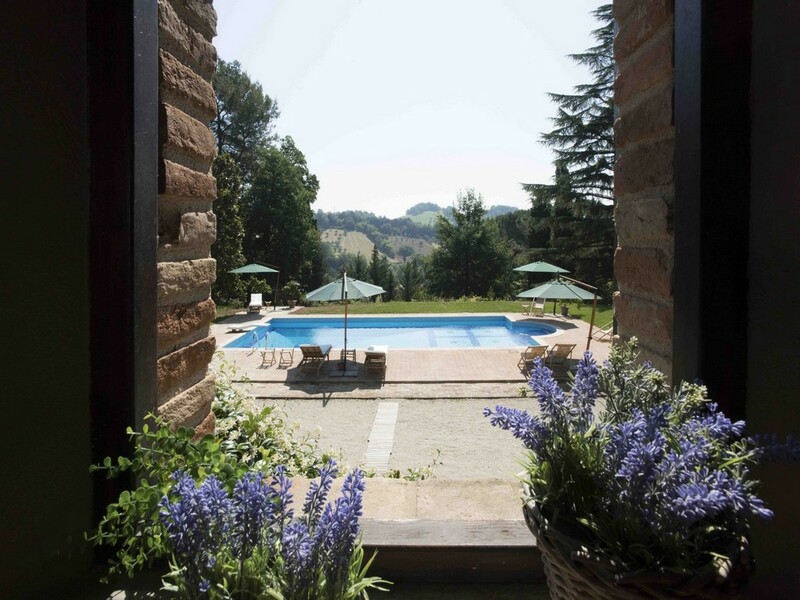 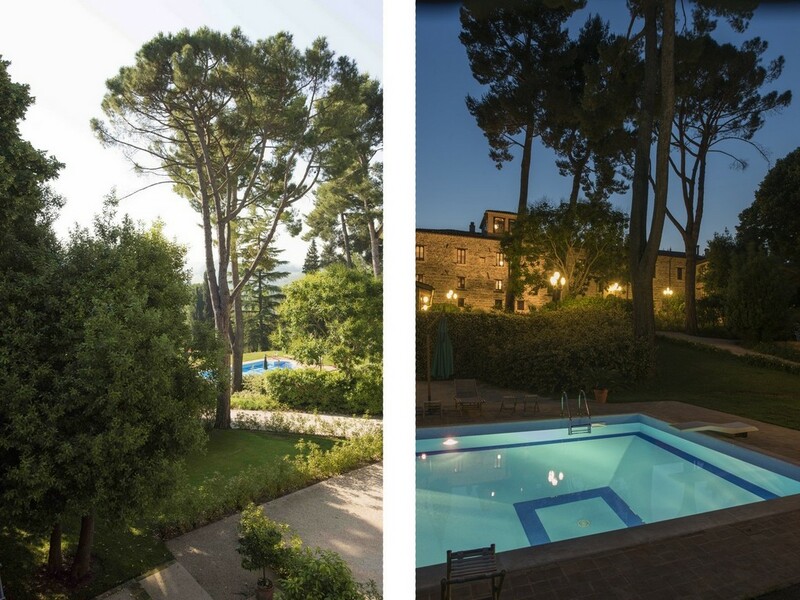 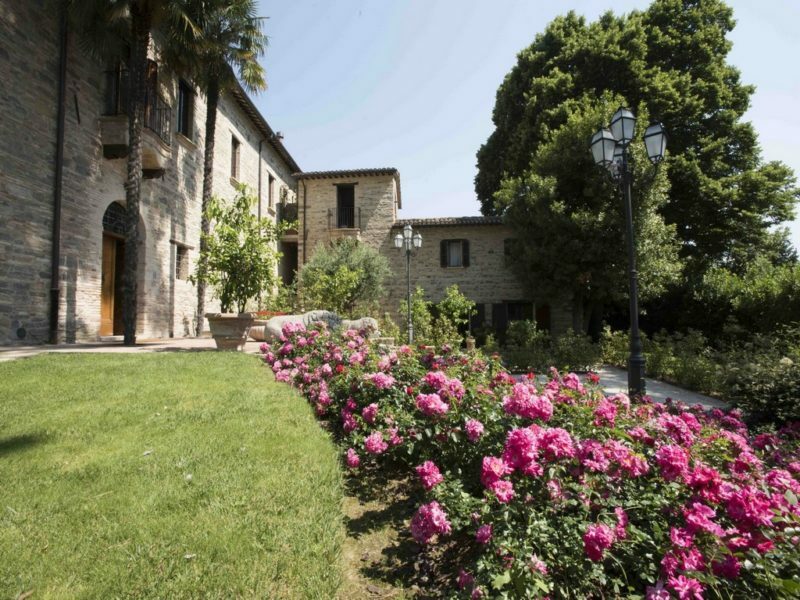 The 1200sqm villa is on two floors, with mezzanine, the splendid tower plus the old stables with cellars. 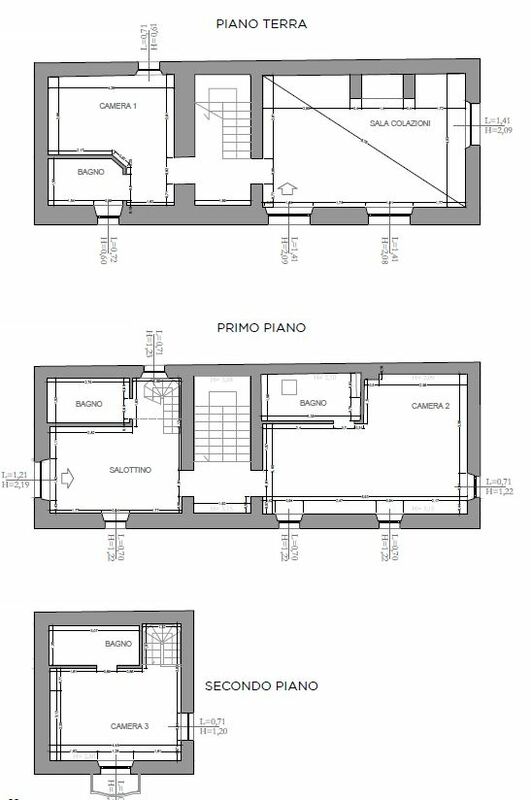 Gr floor is divided into two halves. 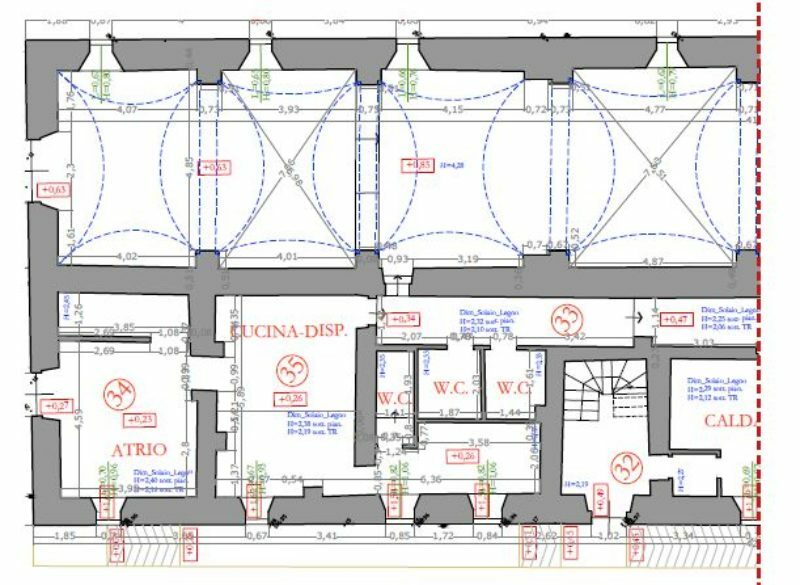 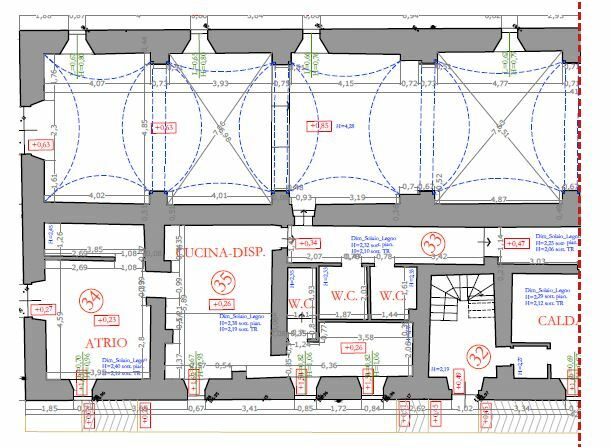 One half has 2 studios, laundry room, utilities room, water filtration room, three bathrooms and some other service areas. 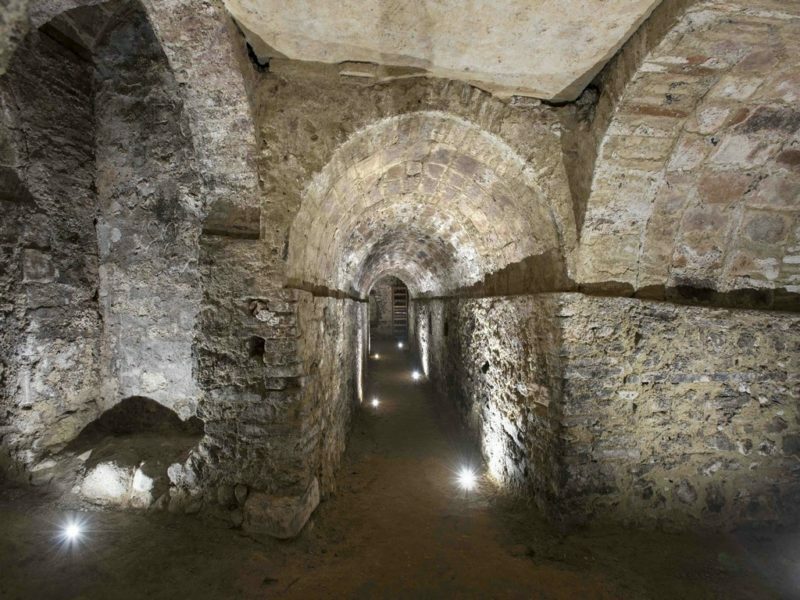 The other half has the old cellars. 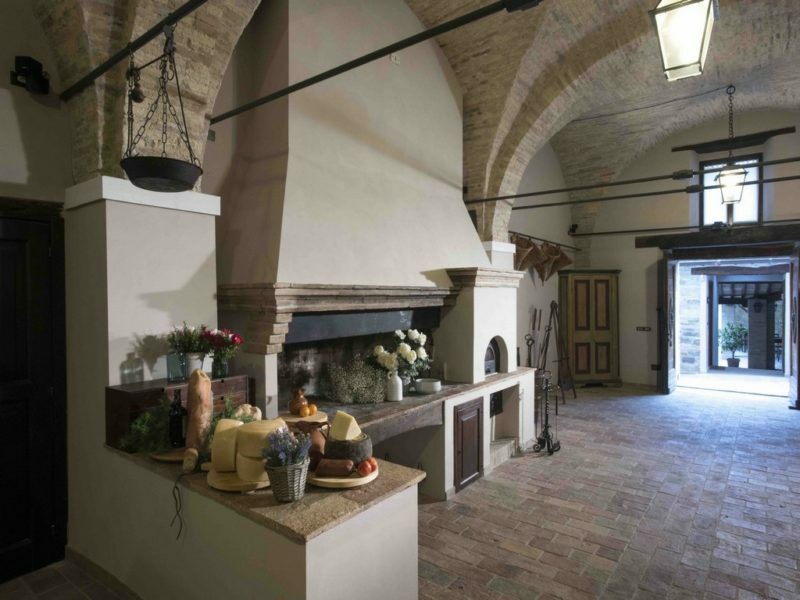 The old stables occupy part of the ground floor that is remarkable for its old, impressive vaulted ceiling, which is still intact. 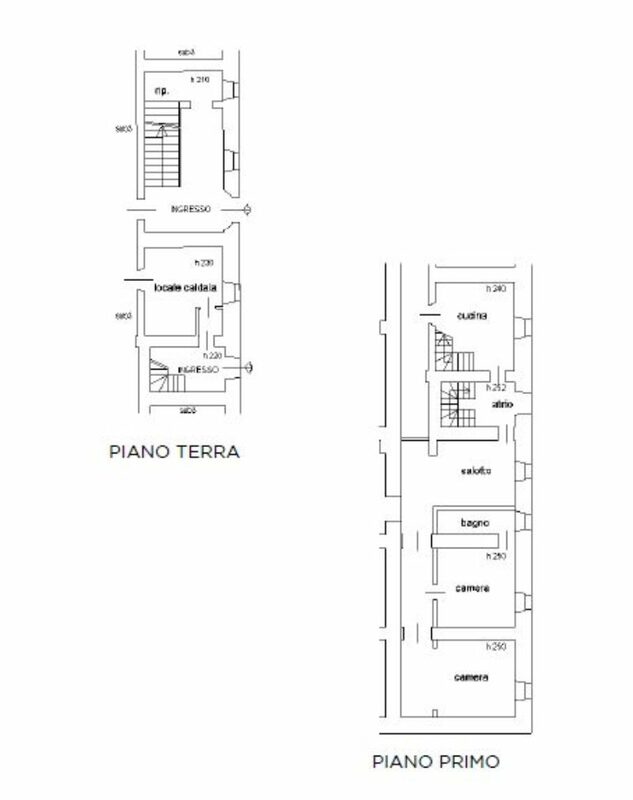 it is a large and versatile space, with a seating capacity of 200 or 400 standing. 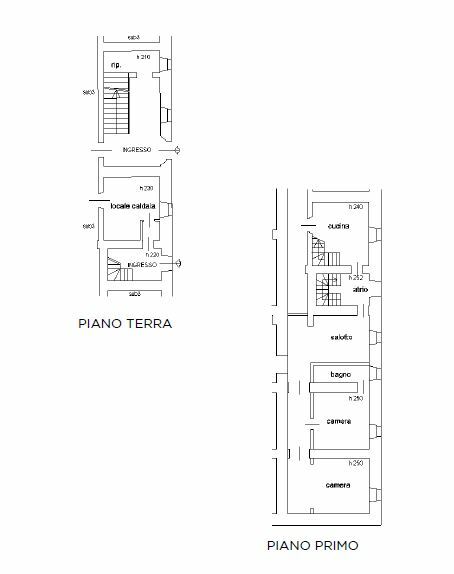 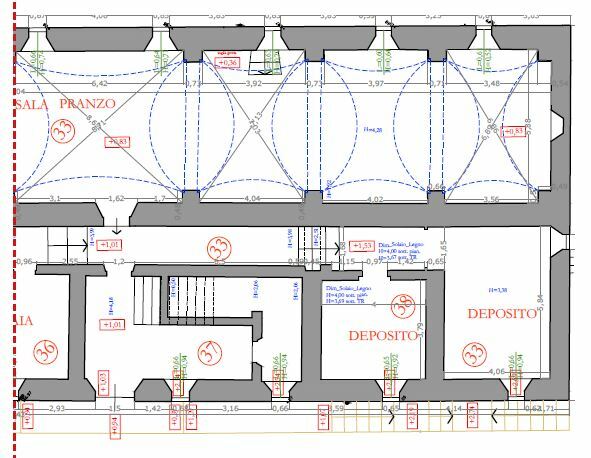 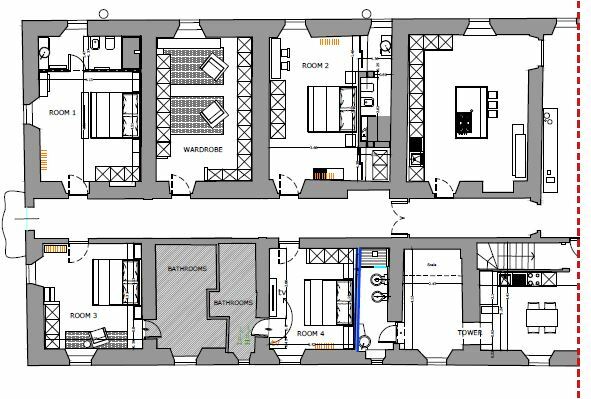 Mezzanine: separate apartment with living room, kitchen, two bedrooms and bathroom. 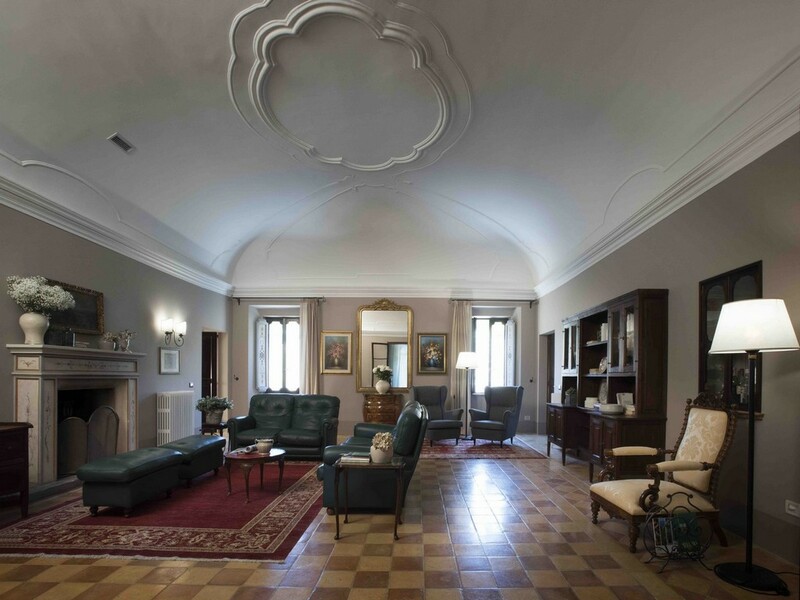 Splendid Noble Floor: living room with original fireplace and vaulted decorated ceiling, kitchen with dining area and reading room. 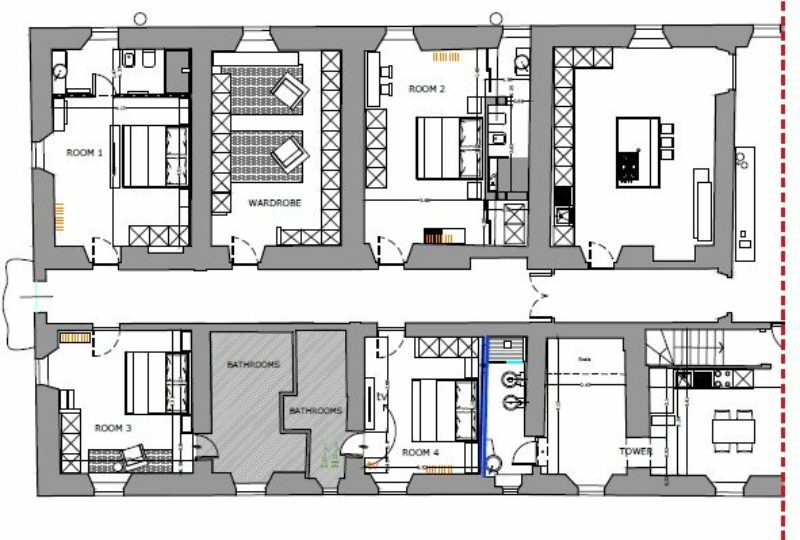 There are six bedrooms with private bathroom, ironing room, walk-in closet and a two-room apartment with kitchen/living room, bedroom and bathroom. 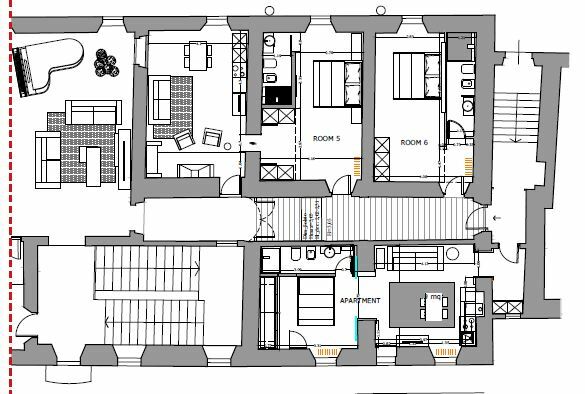 Tower: 1 suite with bathroom. 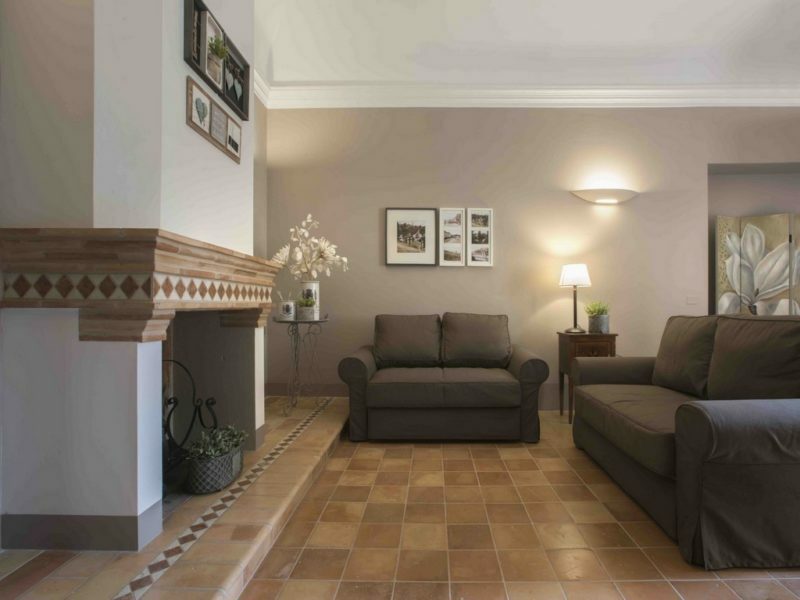 Gr floor separate apartment with a spacious kitchen/living room with large windows with view of the gardens and hills, a bedroom with private bathroom, a lounge/bedroom with another bathroom and access to a sizeable porch. 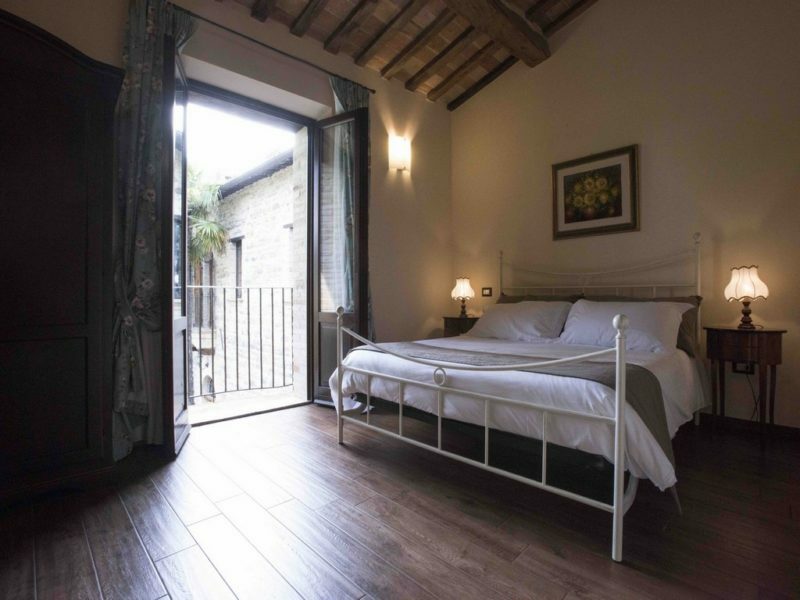 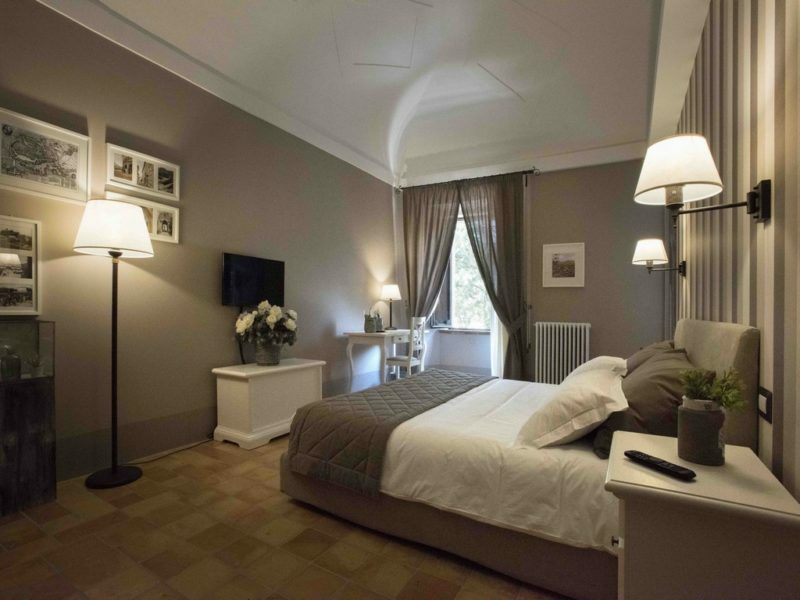 The first floor has been divided into three large bedrooms, all with private bathrooms. 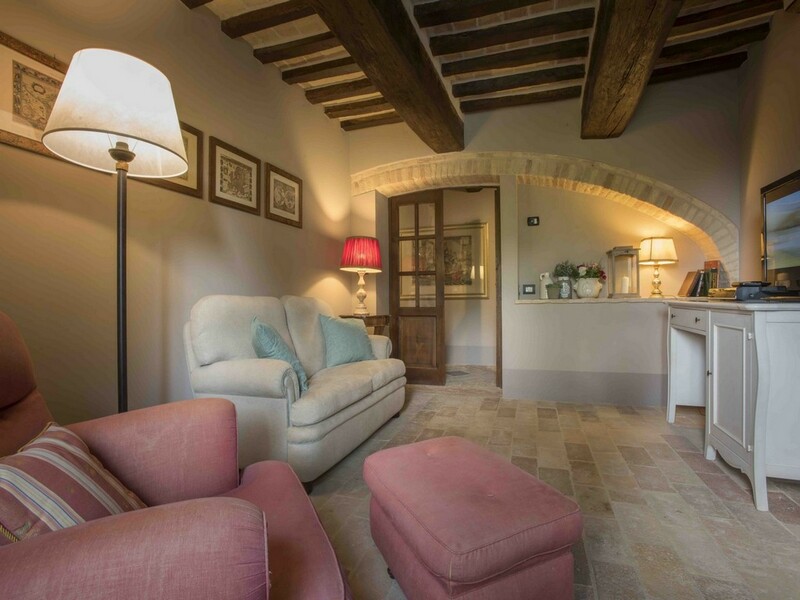 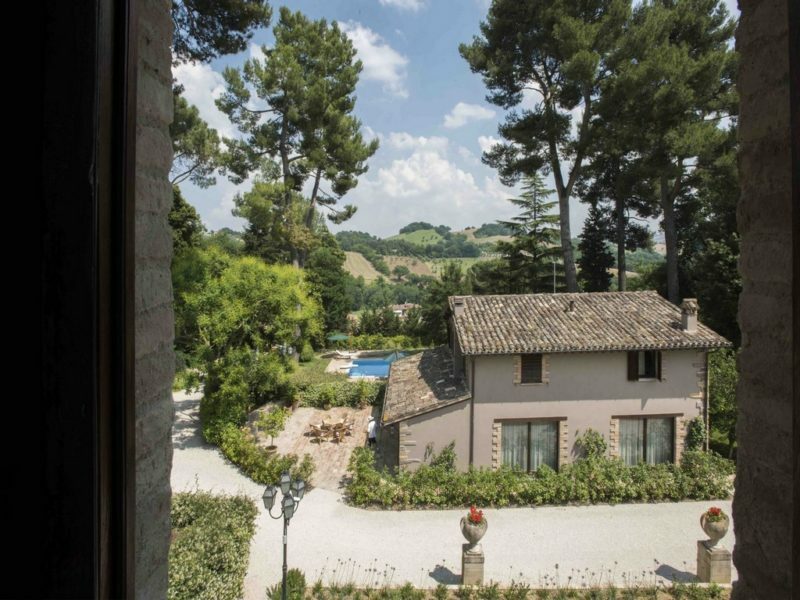 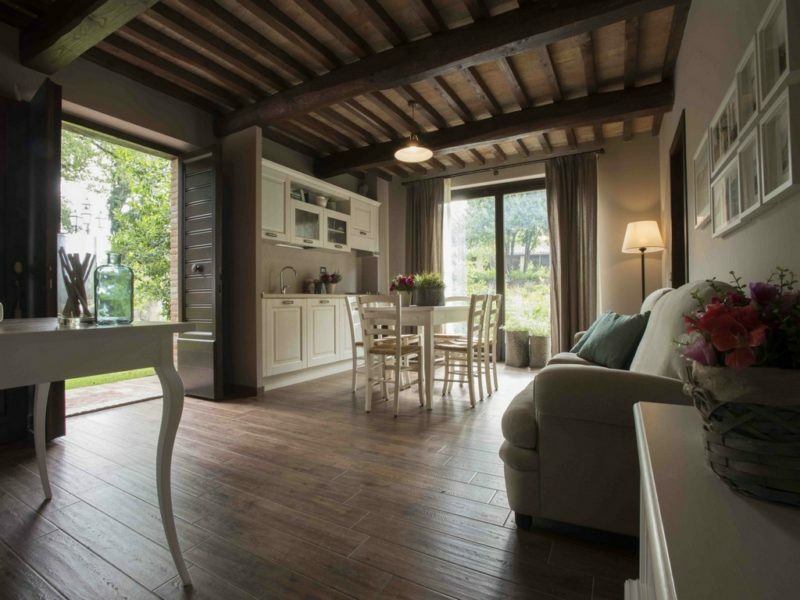 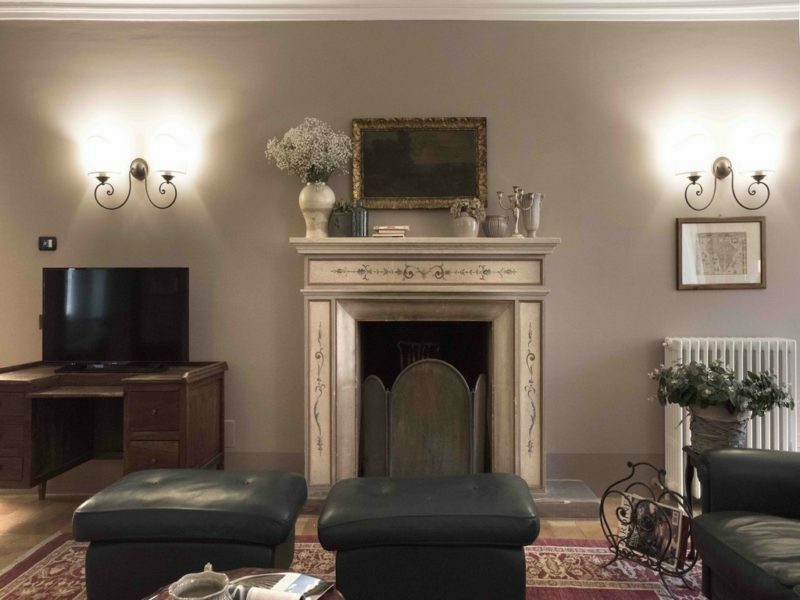 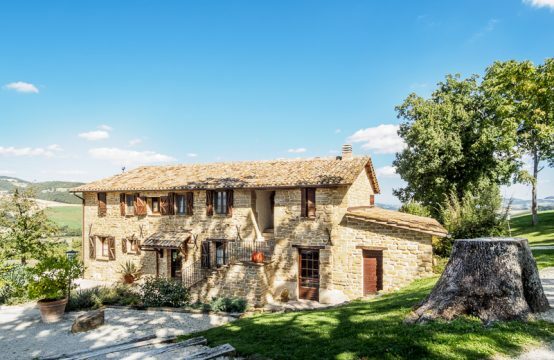 The luxury property for sale in Le Marche has been restored recently, with great care by the owners, using the best original materials, the water and electricity systems and internal finishes are in excellent condition. 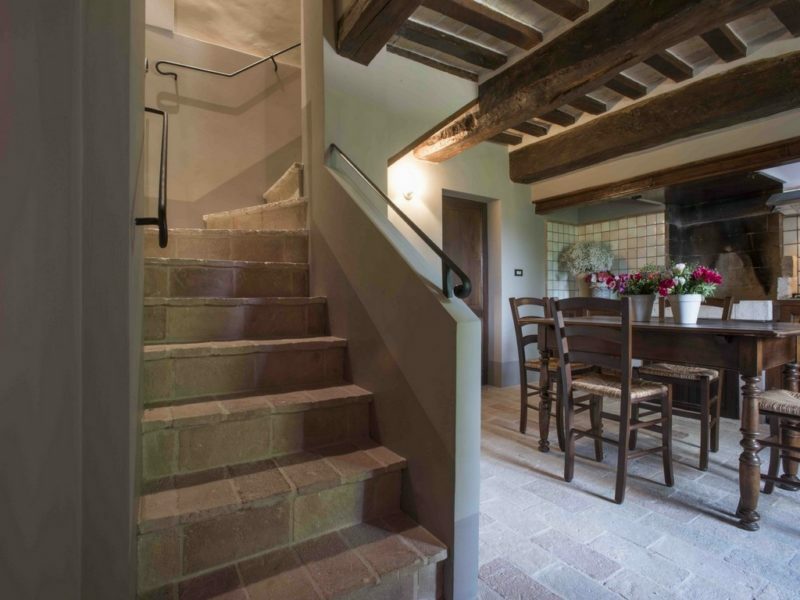 The entire structure has been renovated using existing materials and where it was not possible to recover them, the owners tried to buy materials of the time in a rigorous manner. 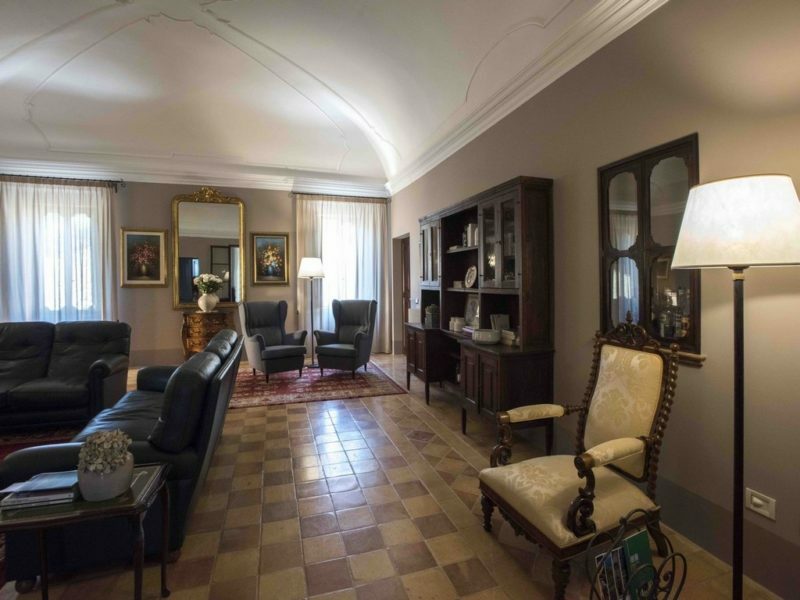 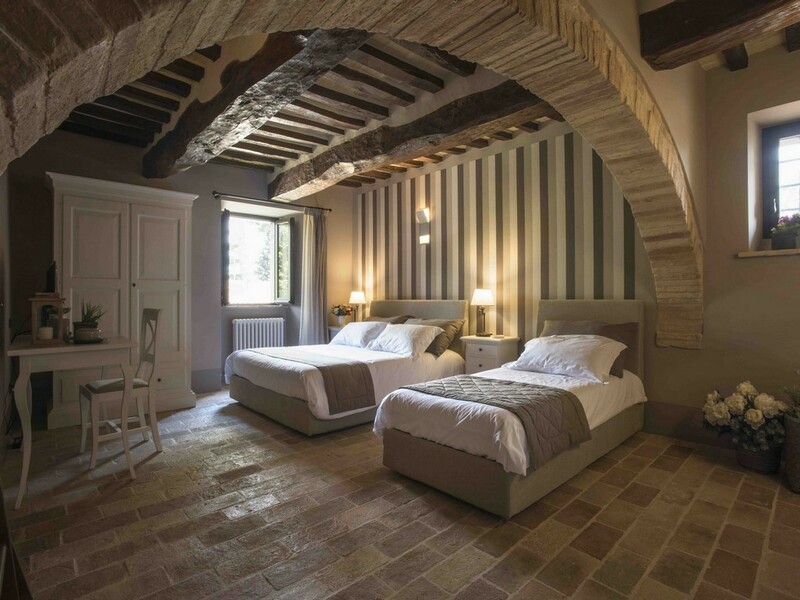 All the material regarding the fixtures, the walls, the floors, the vaults, the wooden beams, the radiators and the external furniture was strictly selected trying to recover the original. 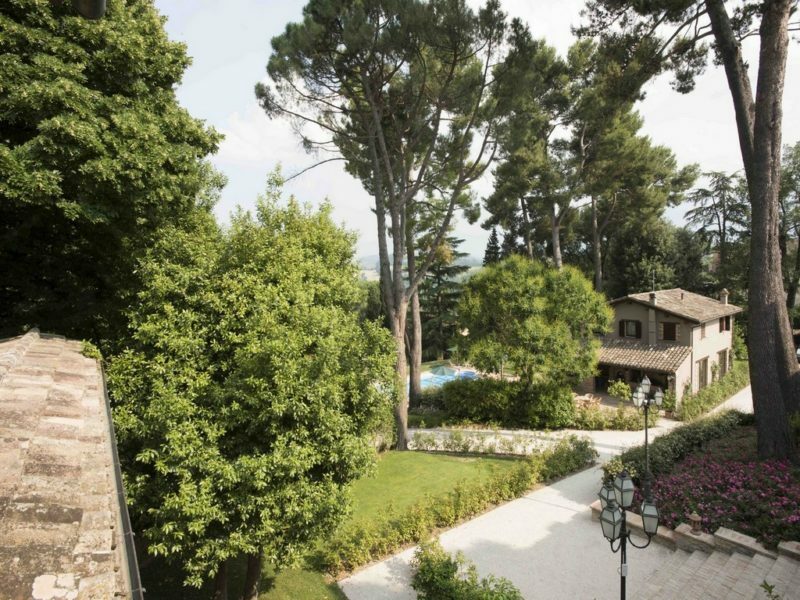 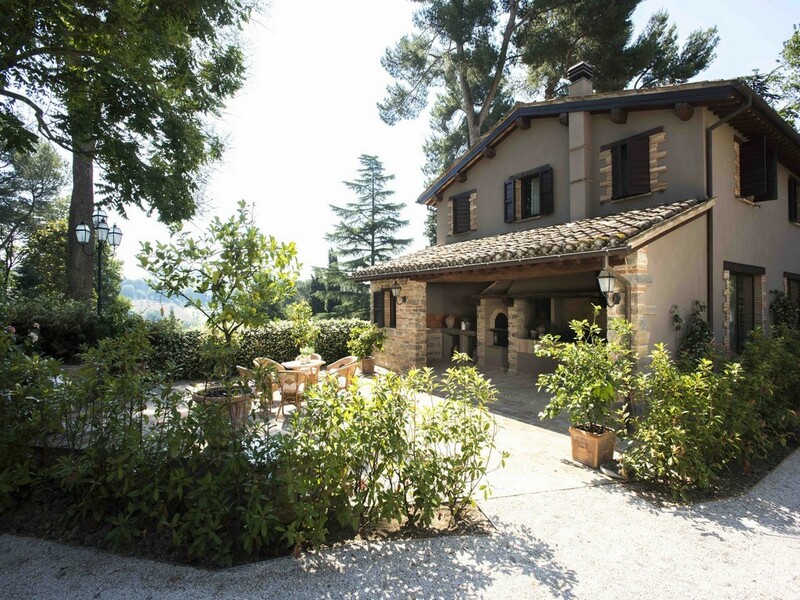 Prestigious property for sale in the Marche region, surrounded by a beautiful wooded park, completely fenced with an automatic gate. 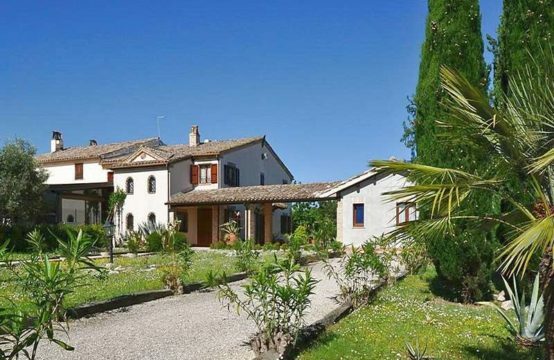 The property is in a convenient and easily accessible location, just a few km from the SS77. 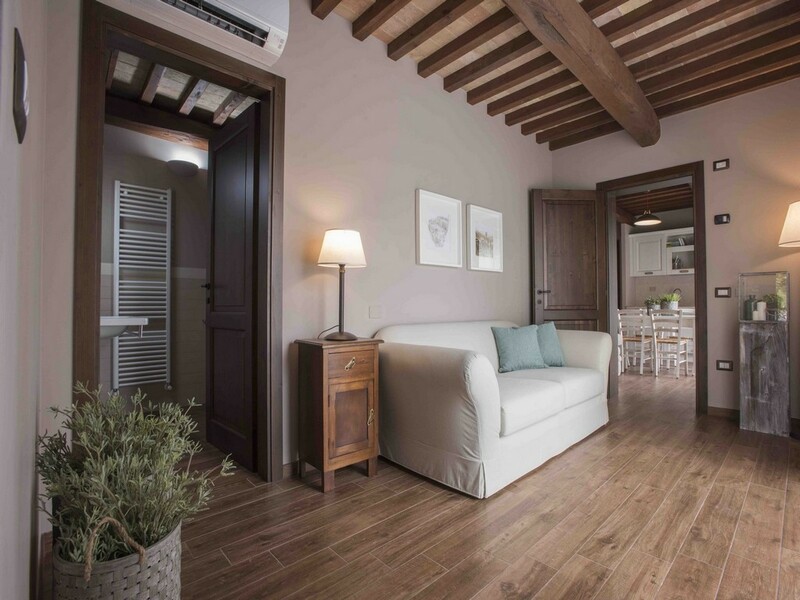 It is just 5 minutes from the historic center and shops and services, around 30 minutes from Macerata, around 45 minutes by car from the motorway and the sea, very convenient for those wishing to be between Le Marche and Umbria, being almost halfway between Foligno and Civitanova Marche. 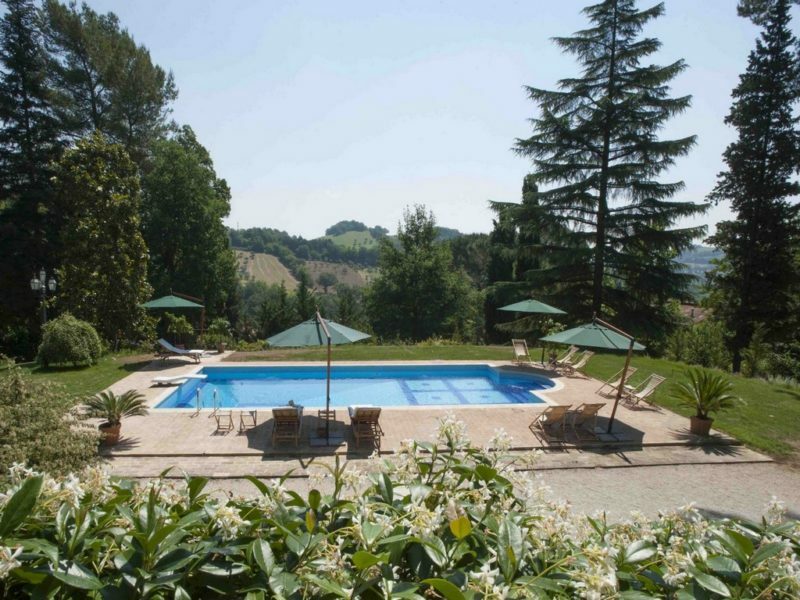 It is also 50 km from Ancona Falconara airport.